Drop Everything and Read Month | Back to Basics Learning Dynamics, Inc.
“Studies have shown that staying mentally stimulated can slow the progress of (or possibly even prevent) Alzheimer’s and Dementia, since keeping your brain active and engaged prevents it from losing power. Just like any other muscle in the body, the brain requires exercise to keep it strong and healthy, so the phrase “use it or lose it” is particularly apt when it comes to your mind. Doing puzzles and playing games such as chess have also been found to be helpful with cognitive stimulation. At Back to Basics Learning Dynamics, we Read to Succeed! The company offers a unique Department of Education-approved 1-on-1 K-12 Private School in Wilmington, Delaware.For more information about Delaware’s only Department of Education approved 1-on-1 private school, please call us at 302-594-0685. 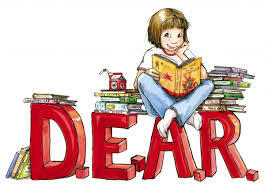 April is "Drop Everything and Read Month." Here's a list of must-read children's books in preparation!